In her book UFOs – Generals, Pilots & Government Officials Go On Record, Leslie Kean lays an ironclad foundation to the subject of unidentified flying objects [UFOs]. The author and contributors do a rather compelling job of outlining the main components of each of the respective incidents discussed, and doing so in a way that’s reasonable, yet thought provoking. Kean also discusses various other pertinent issues regarding the UFO phenomena. Many of the best known UFO sightings are showcased by Kean. Some of the most notable sightings discussed in the book range from the more recent Phoenix Lights incident, which of course officials say were “flares” [who buys that? ], to the older and yet just as compelling Belgian UFO wave. Another rather salient encounter that has been covered at length by other researcher but is one with extensive credibility is the Rendelsham Forest incident. Of course, there are many more significant sightings that are distilled by the author/contributors which people should know about. Coupled with the above information Kean also dabbles into part of UFOlogys history, such as the nascent stages of COMETA et al. That said, given some of the more well known sightings, veteran researchers and readers will undoubtedly know most if not all of the information provided. That really depends on how much research a given person has put into this field. That is not the say the book does not have plenty to offer, because it does. It’s just that the author focuses on many of the most well known incidents, which many folks will be familiar with. Still, Kean does an exemplary job of bringing lucidity to a field that has long sought for it, and doing so in a scholarly manner. Kean precision is seen by how she buttresses her book, which is with the most concrete evidence that’s available. Curiously, for a book that tackles the ‘fringe’, it does seem to play it safe however. That’s the ‘feel’ that one gets from the author. For how well executed certain parts of the book were, others felt as if though she had bulls-eyes right in front of her, but she didn’t lay out possibilities in their greatest extent. In that way, the book feels like a ‘controlled’ release of information of already-sifted-through phenomena, and in that sense, it wouldn’t ‘make any waves’. Its ironic because many people mentioned that this was “the book” that would change everything. And don’t give me wrong, this is a great book. And it will certainly open its fair share of eyes just by its existence. Still, the information covered has been discussed by countless more authors out there, and in that sense, it could have more significant anchors. All things considered, the credibility the author brings to the subject should be taken very seriously. The collection of testimonies does give a preponderance of evidence – given the veracity of the witnesses et al. – that something within our world is amiss. Without a doubt, the book is an excellent starting point for those who wish to delve into this abstruse subject, and would serve as a great reference for veteran researchers in the field, or anyone else interested in this fascinating subject. In fact, the book would serve as an excellent springboard when read before Richard Dolan’s UFOs And The National Security State, which for all intents and purposes is the unofficial Encyclopedia to a modern UFO phenomena. All in all, given the importance of the information, everyone should read this book. Everyone. As humanity continues to slowly seep into space, more and more UFO sightings will continue taking place. Questions such as: Who is behind these sightings? Why are these sightings taking place? Is it us, them, or…? And if its them, where do they come from, and how long have they been here, and elsewhere? Those are just an iota of of the handful of the many questions humanity will have to contend with as we move towards a more technologically advanced culture. This book begins shedding light for the common populace to see that there really is something taking place in our skies, and probably beyond. That alone is worth the price of the book. And if just a fraction of what’s being stated here is true – and keep in mind the credibility of these individuals is top-notch – then the world already is a vastly different place than what we have been taught. And if that’s the case, what else don’t we know? As most people know Memorial Day is a federal holiday here in America dedicated to the memory of those who have died serving the military in past US wars of aggression. It’s wrapped in the lie that the US has fought legitimate moral wars which history proves it has not. From World War One and Two to Vietnam, Iraq, Afghanistan and all the illegal wars of today; the list goes on and on. Evidence, documents, papers, testimonies and accounts, all point to false flag events, US funding of terror and dictators and outright lies to set up these wars that ultimately benefited the ruling elite and their long-term global agenda. Despite all of this, here in America even amongst truth seekers we often traditionally honor those who have fallen while fighting on behalf of the US military because, I suppose, if for no other reason they (those who have died) were in a sense even greater victims of US imperialism, lies and global terrorism because they willingly entered these wars actually believing America represents the “good guys” fighting just and moral wars. As a former military person myself I can appreciate this perspective held by those who have lost their lives in combat. However, anyone awakened to the truth about the ugly political reality we live in today knows nothing can be further from the truth. There is nothing moral or just about US wars of the past and present. So instead of dwelling on the memory of fallen soldiers who have paid the price of deliberate US war propaganda, today I want to focus on another set of fighters who have lost their lives or have been highly suspected of losing their lives trying to get truth out to the general public about what they knew. Some of the people I will pay tribute to today are known to many Americans but many are not and many died silently standing for truth. If you could interview some of these people who died for upholding truth or for the truth they knew I’m sure they would not describe themselves as heroes; they would probably describe themselves as ordinary people with a conscience simply trying to do and say what they felt at the time was true and correct. Unfortunately, some of these people didn’t realize the level of evil they were up against. And they didn’t realize that the simple truth they wanted to get out to the general public was also a major threat to the ruling elite. Obviously, this random list could be much longer than ten and I’ve chosen to highlight these ten stories arbitrarily. 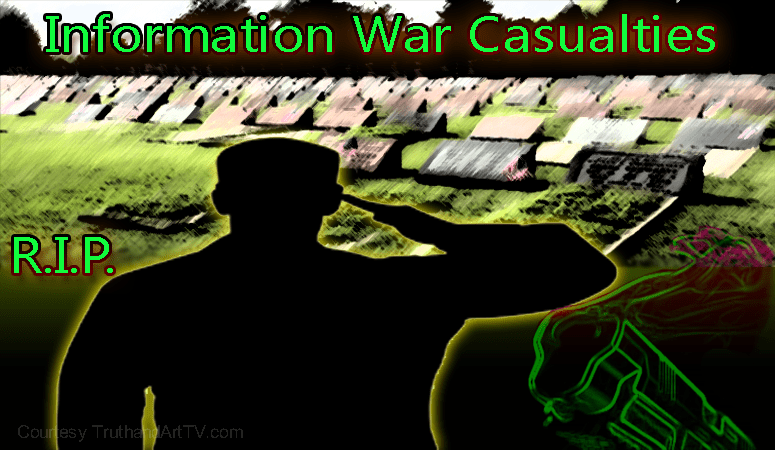 Nonetheless, the following fallen individuals lost their lives in a different kind of war, the modern-day information war – and love them or hate them, they deserve attention today on this Memorial Day. On September 11, 2001 Barry Jennings, who was the Deputy Director of Emergency Services Department of New York City Housing Authority, spoke with ABC News explaining exactly what he experienced on that day while trapped inside of World Trade Center Building 7. Jennings described in detail how the lobby of the building was blown up by explosives taking out the very ground he was standing on. Jennings gives a detailed description of how the explosives left many dead bodies on the floor which he and other rescue workers were forced to literally step on. Most importantly Jennings confirms how all of these “explosions” took place BEFORE either towers (1 and 2) were blown up (or as the sheep say “collapsed”). Jennings’ testimony was a direct contradiction and damaging blow to the official story and to the federal government’s NIST report which completely ignored the explosions and the controlled demolition of WTC 7. The direct firsthand testimony that Jennings offered humanity that day, in combination with his obvious credibility as the Deputy Director of Emergency Services for the NYC Housing Authority was an obstacle that scared the 9/11 conspirators so much that Jennings is highly suspected of being murdered on August 19, 2008, amazingly just 2 days prior to the release of the NIST (National Institute of Standards and Technology) report on the destruction of WTC 7 which directly contradicted Jennings’ firsthand eyewitness credible testimony. Nearly one year ago, on August 19, 2008, 53 year old Barry Jennings died, two days before the release of the NIST Final Report on the collapse of WTC7. Jennings was Deputy Director of Emergency Services Department for the New York City Housing Authority. On September 11th, 2001, he saw and heard explosions BEFORE the Twin Towers fell, while attempting to evacuate the WTC 7 Command Center with NYC Corporation Counsel Michael Hess. Jennings publicly shared his experiences with a reporter on the day of 9/11/01, as well as in a lengthy 2007 video interview with Dylan Avery, a small clip of which was then released; subsequently his job was threatened and he asked that the taped interview not be included in Loose Change Final Cut.. However, after an interview with Jennings was broadcast by the BBC in their program The Third Tower ostensibly refuting what he had previously stated to Avery, Avery felt compelled to release the full original video interview to show the distortions made by the BBC. The cause of Jennings’ death has not been made public, and a private investigator hired by Avery to discover the cause and circumstances surrounding his death refused to proceed with the investigation. In spite of the significance of Jennings’ position with NYC on 9/11 and his controversial eyewitness testimony regarding the collapse of WTC7, the media has not investigated or reported on his death, nor reported on his statements. Here’s a video of the Jennings interview on 9/11 and again with Dylan Avery of the film Loose Change. Many people by now may have forgotten about Michael Hastings who at the time of his death was considered a premier investigative journalist who famously profiled NATO Commander General Stanley McChrystal in an award-winning Rolling Stone article titled ‘The Runaway General‘ in such a way that the general was forced to resign. Hastings was also very critical of the Obama administration’s investigation of reporters, referring to this as a “war” on journalism, which is exactly what the Obama administration has been doing for years. Clearly, Hastings was on the side of truth attempting to expose the Obama administration’s war on truth. Hastings even went as far as exposing Obama’s secret drone killings and how the Army was conducting a psychological operation on senators, among other disturbing topics. Clearly that became a problem for the controllers who decided they needed to do something about this. According to numerous reports, Hastings stated to family and friends that the FBI was on his trail and that he was going to go “off the radar” for some time because he was “onto a big story.” The LA Times also reported that Hastings was preparing new reports about the CIA at the time. Does all this sound suspicious enough? Hours after contacting family and friends about his big story, the harassment from FBI and his intentions to go off the radar, on June 18, 2013 Hastings’ brand new Mercedes Benz caught fire and accelerated right into a tree in Hollywood Los Angeles in what appeared to be a remote-controlled takeover of his vehicle with detonating explosives launching the engine of his car some 200 feet down the road upon impacting a tree in the divider section of the road. Witnesses who saw the crash state that the car was already on fire from below and the car swerved and accelerated into the tree. Afterwards, I personally visited the crash site and confirmed the distance which the engine traveled from the hood of his car upon impacting the tree and I can personally assure everyone the engine flew at least 150-200 feet, a physical impossibility without the use of explosives. The question we must all ask is, Why was Hastings murdered and what information was he going to reveal to the general public? Let’s remember this story and let’s remember Michael Hastings on this Memorial Day. At 1:00 p.m. mountain time Nov 6th we received a call from Officer Frank Valenzuela form Az. Dept of Public Safety, This call came to us as a result of our calling the sheriff’s office to confirm that this incident had happened, he informed us that this level of entrapment for Mr. Cooper started at 11:40 p.m. mt. time Nov. 5th 2001 by luring Bill Cooper away from his home which sat on top of a hillside in the community of Edgar ,Az his physical address was 96 North Clearview Circle, Edgar , Az. The departments of Edgar and Apache law enforcement were working together. They claimed that they had gone out to serve 3 felony warrants, pertaining to someone having had a semi-automatic pistol drawn on them by Bill Cooper. At this time we do not have that info as to whom that was who filed a complaint. Officers deliberately caused a ruckus to get this man away from his home to create this entrapment He went down the hill away from his home to the automobile to see what the ruckus was, it was 2 law officers in plain clothes. He spoke to them then got back in his car to go back up to his house , when out of hiding came a patrol car that blocked his return to his home. He put his hands on the car window as we assume that is what he was ordered to do as they approached his car he pulled out to get around the car . As mentioned, this is arguably one of the very first State department murders in our post-9/11 world which many have forgotten. And in many ways the Cooper murder may have been symbolic of the times we were coming upon. I’m talking about the era we live in now where the State can murder anyone without cause or proof of wrongdoing … and get away with it. William Cooper warned of government corruption and, like Hastings, was exposing the CIA, was fighting the IRS and was exposing other government crimes and corruption. So on this Memorial Day let’s remember William Cooper and all that he was attempting to do. Anyone who follows 9/11 truth and the hard evidence of the controlled demolition of WTC 7 on September 11, 2001 may have heard of Dutch demolition expert Danny Jowenko who famously in 2006 was videotaped in a situation where he was unknowingly shown the destruction of WTC 7 and asked about the method of destruction and Jowenko confirmed that the building was undoubtedly brought down by an implosion style “controlled demolition.” Considered one of the world’s top controlled demolition experts, this truth became very damaging to the 9/11 official story and the conspirators who push it. Then on July 16, 2011 Jowenko’s car did similar to Michael Hastings’ car and drove right into a tree killing Jowenko in an incredibly untimely and highly suspicious death. Many at the time and to this day feel his death was highly suspicious of murder. Some suspect that, like Hastings, Jowenko’s car was taken over by remote control. Ultimately, though, we can’t know for certain; it is very likely that this was the case when you look at the bigger picture and the timing. Jowenko’s expert opinion about the obvious controlled demolition of WTC 7 was a threat to the establishment because of his credibility and the least we can do now is remember his death and his contribution to 9/11 truth and the information war he died in. Doctor Nicholas Gonzalez was a pioneer and highly influential doctor in the field of holistic medicine and he was one of the top doctors leading the way in anti-cancer treatment, particularly a highly effective and inexpensive enzyme therapy which presented a problem for the cancer-industrial complex and big pharma. Despite being in great health and at the top of his game, on July 21, 2015 doctor Gonzalez dropped dead of a sudden “heart attack” which defied explanation and shocked everyone around him leading many to suspect foul play. Additionally, and perhaps much more concerning, is the fact that Dr Gonzalez is not the only alternative medicine doctor who has died under bizarre and very suspicious conditions in just the past year or so. Many other alternative medicine doctors have died suspiciously lending more speculation into the circumstances and timing of Gonzalez’s death. Clearly these doctors and their goodwill inexpensive cures for cancer and other diseases were a major threat to the pharmaceutical companies who only care about profits. For this reason I do not believe doctor Gonzalez’s death was by coincidence or due to natural causes and I believe on this Memorial Day we should remember Dr Gonzalez for standing for truth, true cancer cures and medical freedom. The death dumps, otherwise known as chemical trails, are being dropped and sprayed throughout the United States and England, Scotland, Ireland, and Northern Europe. I have personally seen them not only in the United States, but in Mexico and in Canada. Birds are dying around the world. Fish are dying by the hundreds of thousands around the world. This is genocide. This is poison. This is murder by the United Nations. They are huge, bomber-like airplanes with no markings. This is a crime: a crime against humanity, a crime against America, a crime against the citizens of this great country. The must be stopped. What is wrong with congress? This has an affect on their population, and their people, and their friends, and their relatives, and themselves. What’s wrong with them? What’s wrong with the pilots who are flying these airplanes and dumping this crap, this poison, on their own families? Somebody has to do something about it. Somebody in Congress has to step forward and stop it now. Thank you. I’m Ted Gunderson. I happen to know of two of the locations where the airplanes are that dump this crap on us. Four of the planes are out of the Air National Guard in Lincoln, Nebraska. And, the other planes are out of Fort Sill, Oklahoma. I personally have observed the planes that were standing still in Nebraska – Lincoln, Nebraska – at the Air National Guard. They have no markings on them. They are huge, bomber-like airplanes with no markings. With this now permanent admission of the chemtrails spraying program on record, Gunderson was now in danger. This information apparently created a problem for the controllers especially given Gunderson’s credibility. Notice the one common trend in the murder of all the people on this list is their credibility which presented a threat to the controllers. Unfortunately by July 31, of that same year (2011) the very credible Gunderson was murdered when high levels of arsenic was found in his blood. Much can be said of Gunderson who attempted to expose the new world order and the influence of secret satanic groups and how they were permeating our society. Needless to say he was a major threat to the system and their ruling elite and we should not be surprised that he was targeted. Thus today let’s take a minute to remember Gunderson and everything he wanted us to know. And let’s do more by heeding his warning and stopping this “element” of society that is doing all of this evil to humanity. Though I don’t know what her motives were, I want to bring attention to Hawaii Health Department Director Loretta Fuddy. She is known to few and forgotten by many but she is a very important person to know. Fuddy who reportedly supervised the copying of the original Obama long-form birth certificate held by the Hawaii department of health shortly before the White House posted the now infamous short-form birth certificate on the White House website was deeply involved and personally known to Obama who personally visited her in Hawaii. Obviously Fuddy had intimate knowledge of the Obama birth certificate fraud that the controllers felt their secret was not safe with her being alive for fear of the truth getting out. Fuddy died on December 11, 2013 supposedly of “heart arrhythmia” when the small plane she was on did a water landing upon returning to Honolulu. 8 others were on the plane and only Fuddy died mysteriously. Given what we know today about the conclusion of the investigation on the Obama birth certificate and the fact that the short-form posted on whitehouse.gov is a proven fraud, was Fuddy murdered because she was going to expose this entire fraud? In a report discussing the numerous inconsistencies reported by the government and mainstream media regarding Fuddy’s highly suspicious cause of death, evidence shows the government changed its position on the cause of death numerous times. Given what we know and the circumstances surrounding Fuddy’s death we cannot afford to be naive about her death including the timing and the implications. And for that reason I want to remember Loretta Fuddy on this Memorial Day as being another victim of the information war. If you want people to become far more ignorant than they already are, you need look no further than the field of psychiatry, which is rife with symbols, which are the names of so-called mental disorders. There are about 300 in the official psychiatric bible. They appear to designate actual mental states, but upon close inspection, they’re empty of scientific meaning. In this interview, Jimmy Church of Fade To Black interviews UFO Historian, author, researcher and lecturer Richard Dolan, who coined the term Breakaway Civilization. Dolan discusses this theory, and how it is connected to the Secret Space Program. Richard Dolan has researched UFOs and related phenomena since the early 1990s. He is the author of the historical series, UFOs and the National Security State (volumes one and two), as well as an analysis of the future, A.D. After Disclosure: When the Government Finally Reveals the Truth About Alien Contact. He has appeared widely on radio and television, including Coast-to-Coast AM, CNN, The History Channel, SyFy, BBC, and elsewhere. Since 2012, Richard has hosted “The Richard Dolan Show,” airing on KGRA Radio. In his writings and interviews, Richard has analyzed the destruction of our political liberties as a result of the UFO cover-up, the possible nature of the non-humans themselves, what their presence means for our civilization, why he believes the cover-up will end within our lifetime, and what is likely to happen after that. With the completion of UFOs for the 21st Century Mind, Richard plans to complete the third volume of UFOs and the National Security State, which will take the history of the UFO reality and cover-up to the present day. In earlier years, Richard had been a Rhodes Scholar finalist, earned a Bachelor’s and Master’s degree in History, and received a Certificate in Political Theory at Oxford University. Born in Brooklyn, raised on Long Island, he continues to live in Rochester, New York, where he spent many years raising his family. Visit his website at richarddolanpress.com. The interview begins at the 32:45 mark. Enjoy. 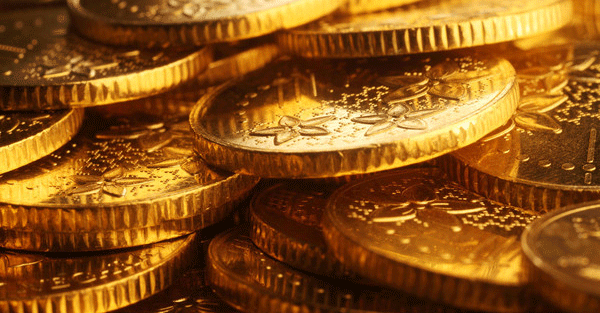 Today, gold prices have been clinging to around $1,200 against the dollar. It is becoming increasingly obvious that the Federal Reserve has two goals. One is to keep the dollar strong against gold and the other is ensure that the world’s quasi-depression continues. Yellen doesn’t say so, but this will be the result of her actions. But it’s probably not appropriate. Nothing in the US economy is signaling “recovery.” US statistics are endlessly optimistic anyway. We’ve reported previously on this: Yellen is raising rates because she wishes to raise rates not because of any particular financial evolution that is forcing her hand. In a recent CNBC article, “The Fed could be blindsided by ‘stagflation’,” contributor Michael Pento went even further. Pento doesn’t seen any real US economic strength. And he believes that if Yellen raises rates, any possibility of a recovery is lessened. “Janet Yellen is creating ’70’s style stagflation with her monetary policies,” he writes. Since July of 2015 economic growth has been languishing, while CPI has been rising during a relatively similar time span. In fact, the most recent month over month increase in the CPI of 0.4 percent was the highest since February 2013. At the same time, Pento writes that the economy only expanded by 160,000 new jobs in April whereas Wall Street had expected a 203,000 gain. Is Yellen prepared for an economic scenario that opposes the one that she anticipates? Pento believes neither Yellen nor Wall Street are prepared for such a turn of events. Pento believes the medicine of Paul Volcker is necessary: an environment of much higher interest rates. This is because he doesn’t believe the economy is improving but asset bubbles are forming nonetheless. It is these asset bubbles that carry the greatest risk. Yellen’s slow-motion rate increases do nothing to alleviate these risks. She is adopting the tactic of raising rates slowly while asset bubbles expand quickly – eventually causing an economic meltdown.